These two Hidcote English Lavender plants grow in two large plastic pots in my garden. 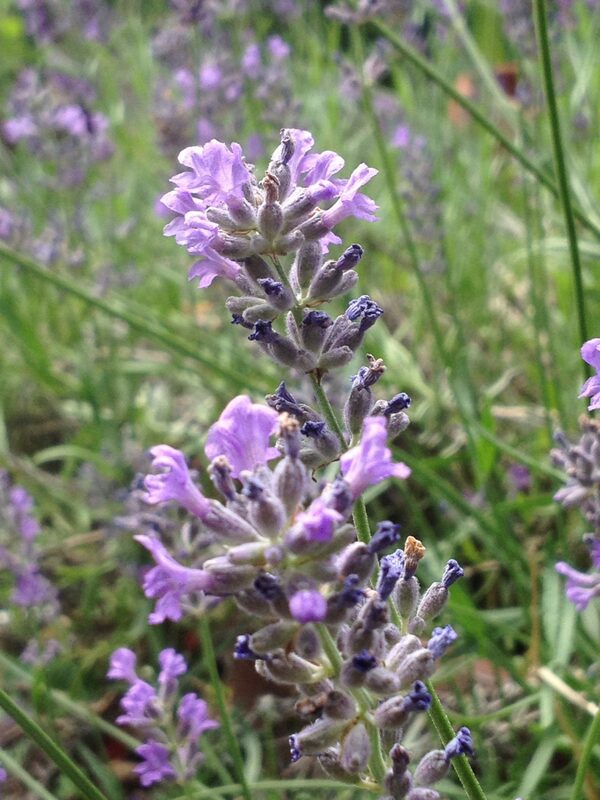 French lavender is too tender to survive the Philly winters. I have mostly native plants in my garden, but I make exceptions for roses, lavenders, and some food plants. The pollinators are going crazy on the lavenders. 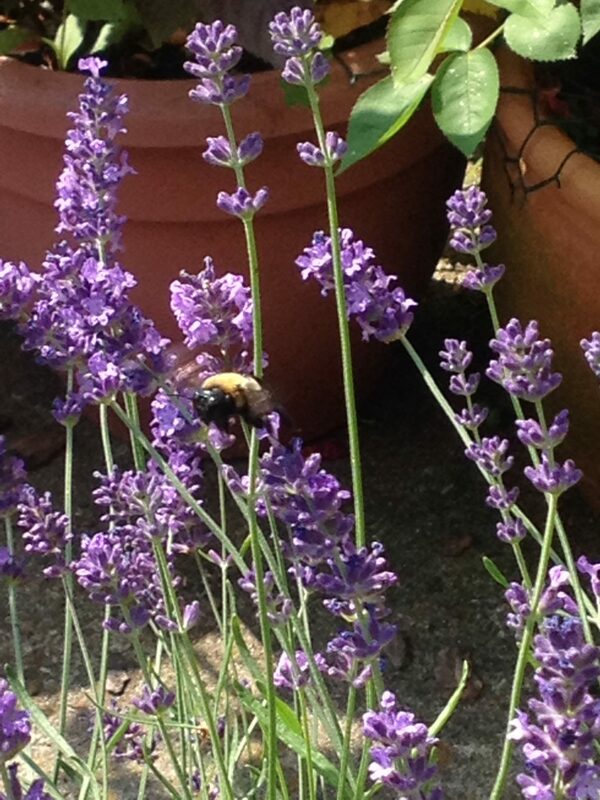 Bumble bees, little flies, mystery bees, the lavender is jumping! I have been spent the last year or so building my business, but I am ready to start blogging again. Happy Holidays to you Christina.